Sam Tjahjono resides in Denton, Texas, with his fiancée and their newborn daughter. He studied rhetoric at the University of North Texas and is excited by games that communicate powerful stories in subtle, unique ways. Developed by CD Projekt Red (CDPR), The Witcher 3 (2015) takes place in a world called the Northern Kingdoms. Within it, players assume the role of Geralt of Rivia, a “Witcher,” or monster hunter. As Geralt, players must track down his adoptive ward Ciri, who is being pursued by a horde of ghastly riders called the Wild Hunt. While completing quests toward this end, players are presented with pivotal ethical situations. No matter the player’s actions, though, a “perfect” ending is unattainable. Throughout this essay, I will discuss the ramifications of this impossibility primarily from a player’s perspective, though design principles play into the topic as well. Moreover, I focus on a close hermeneutic reading of the ethics at play in The Witcher 3 based on my own approach to the game, as some players like myself often attempt to minimize negative outcomes for characters and situations they feel strongly about. Other approaches to and interpretations of the game’s ethics are of course possible; the scope of the game is massive and deserves more scholarly attention. I merely want to draw out a specific ethical type in hopes of further uncovering, however slightly, the ways in which games may be positive forces in our current sociocultural landscape. 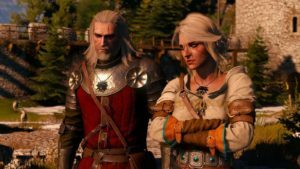 Because of this common tendency toward positive outcomes, players may prefer endings in which Geralt and Ciri are reunited and reconcile with one another. However, CDPR restricts players from preserving the life and wellbeing of every character while progressing through the story. 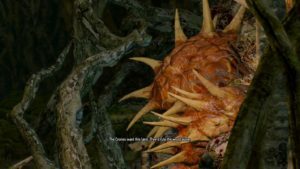 Barring the use of a wiki or guide, the “right” choice in each ethical situation is usually inaccessible, and like in real life, the consequences of each choice are typically deferred—sometimes for hours’ worth of play in the game-world. Inevitably, then, players will encounter ethical failure. Moreover, a subset of players will realize that the blindness of their choices led to their inability to set all things right in the Northern Kingdoms. Judith Butler asks whether “a new sense of ethics can emerge from such inevitable ethical failure” (42). Like her, I believe such an ethics—which I invoke from here on out as “radical ethics”—indeed can. 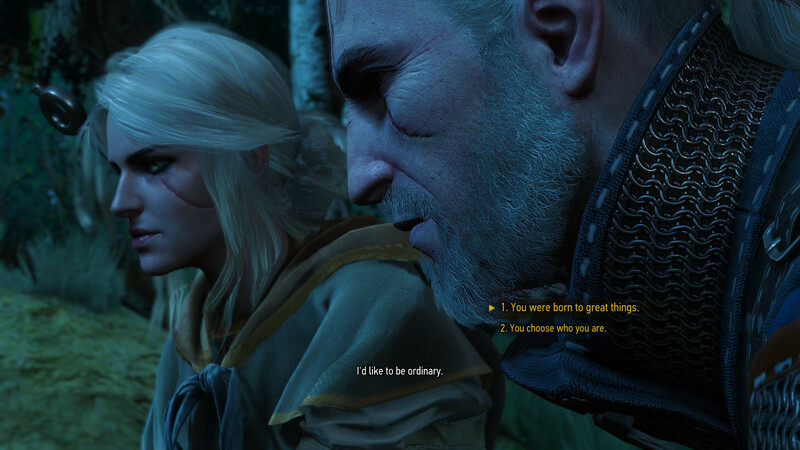 Because players must make tough choices and yet Geralt presents himself as a “neutral” character, players are caught up in an ethico-rhetorical dialectic. This dialectic is comprised of Geralt’s rhetoric of neutrality embattled with what I refer to as the radical—or Other-oriented—ethics embedded in the game’s branching narrative. The ethical abstraction produced by this dialectic, I argue, not only encompasses the radical ethics I discuss, but can also highlight to conscientious players the need for and benefits of living out a radical ethics in the real world. Furthermore, I contend that this radical ethics is not only rhetorically implicit in the ethical situations that unfold in the game’s dialogue and gameplay, but also rhetorically effective in its action upon players due to the game’s systems of choice-making. These systems manifest through what Ian Bogost terms “procedural rhetoric.” This procedural rhetoric is inherent in the rules of the game, which allow and disallow players from performing and receiving symbols. Moreover, it immerses players in an empathic process of “experience-taking.” This process will quite possibly open up to many players a sense of radical ethics akin to the one described by Butler, Diane Davis, and others. 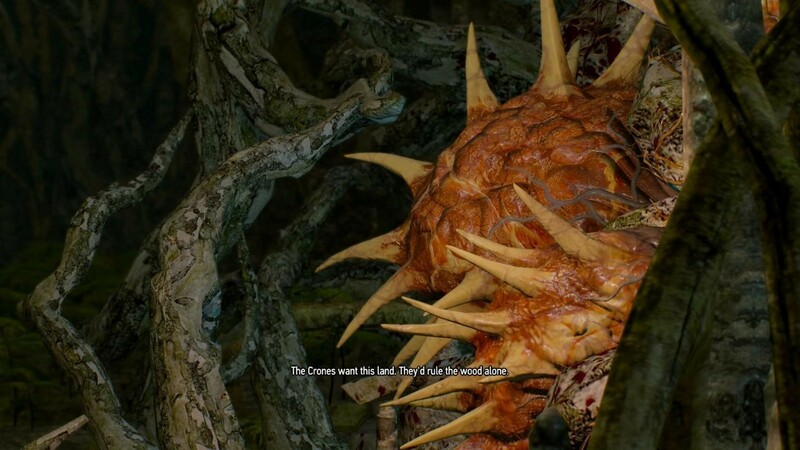 Few moments in The Witcher 3 exemplify the game’s ethical focus more than “The Whispering Hillock.” This quest presents the player-as-Geralt with the choice to either kill or free a vengeful tree spirit that resides in a bog. When players encounter the spirit, they have little information on its motivations, so making the “right” choice is already a dubious prospect. If the player chooses to kill the spirit, the orphans who also live in the bog will be kidnapped and eaten by the witches who rule the neighboring villages. However, the villagers who killed the spirit’s body and imprisoned the spirit in the eponymous “Whispering Hillock” will survive. If, on the other hand, the player decides to spare the spirit, it will save the orphans from the witches and instead slaughter the villagers for revenge. In this scenario, Geralt’s “Witcher’s code”—the personal boundaries he invokes as an organizational code when he is thrust into politically and ethically charged situations—functions as a part of his worldview, which “determines ontology for [him]” (Butler 25). Broadly speaking, “ontology” refers to the nature of existence and the multiplicity of worldviews on the subject. In the game, Geralt references his “code” multiple times to justify avoiding encounters with others, deploying a rhetoric of neutrality. However, because of his duty to Ciri, and because the game mechanics do not allow it, players will find it impossible to remain neutral in their decisions while advancing the main quest’s story arc. 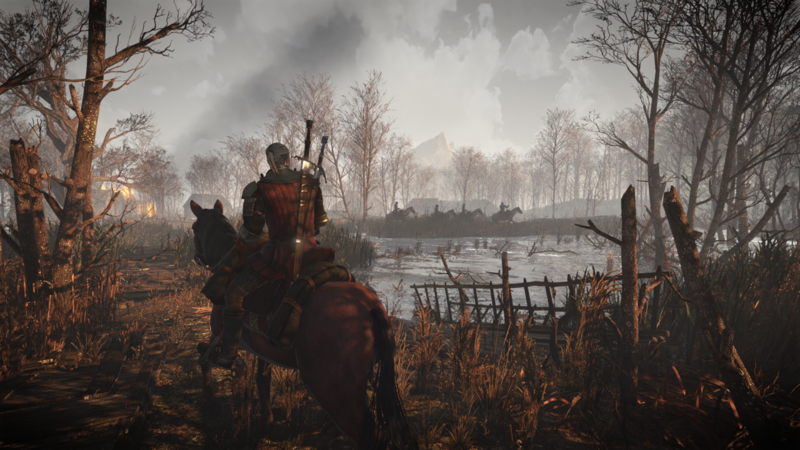 Geralt’s rhetoric of neutrality and the ethical demands of CDPR’s gameplay systems here come into contact with one another, forming the dialectic that drives the game’s radical ethics. When players encounter the tree spirit in “Hillock,” they initiate what Davis terms “first discourse,” or “the site of [their] encounter with unassimilable alterity of the other, which provokes an interruption in identification and cognition” (12). Before the spirit even addresses players to inform them of its predicament, they have already engaged it in a pre-symbolic language relation that they are unable to turn away from. This connection through language impels players to make use of their response-ability—their capacity to recognize common exposedness (Davis 11)—in order to fulfill an ethical responsibility. The ethical demands of this first discourse are also reinforced on the mechanical level of the game. Once the player has begun dialogue with the spirit, they are literally unable to turn away, as the game’s dialogue system does not allow them to physically leave the scene. Players can only do so once the spirit has finished pleading them to help it escape. Of course, after players have made their choice, they will invariably realize that whatever they chose does not carry with it ideal consequences, as different characters, or Others, die no matter what happens. This no-win situation is thematically in keeping with the ethics of blindness The Witcher 3 seems to cultivate. The game does this by doling out consequences for each choice the player makes in such a way that they are often difficult—if not impossible—to anticipate. In the “Hillock” quest, the plight of the Other is made salient ex post facto; players will eventually realize that there are other characters in the game-world—the orphans, villagers, and primary cast—whom they cannot satisfactorily help in a single playthrough of the game. To players of The Witcher 3, these characters constitute “an unreachable alterity to whom [they are] infinitely obligated” (Davis 116) due to the game’s “anticipation” of player responsiveness in dialogic moments. But why try to make certain players feel guilty for playing the game the way it was designed? Video games are, after all, designed to be entertaining; why then would CDPR remove the possibility of a perfect game-world—one in which the player remains, at all times, in absolute control? At the risk of sounding didactic, I contend that this diminishment of player agency in reaching ideal outcomes attunes players to a sense of radical ethical accountability. Butler describes accountability as the acceptance of the fact that we will always fail to give an account of ourselves. She writes that “If the identity we say we are cannot possibly capture us. . . then any effort ‘to give an account of oneself’ will have to fail in order to approach being true” (42). The Witcher 3’s main quests literalize this definition of accountability by forcing upon players mechanics that disallow progression until ethical choices have been made. Typically, players must make these choices by choosing from a lineup of limited dialogue options during pivotal story moments, a process that can only approximate the ambiguity of real-life decision-making due to the resource costs of game development. However, combined with the game’s deferred consequence system that forces players to “live with” their choices (instead of reloading an old save game), the limited choices are effective insofar as they draw players toward the understanding that they are not always capable of predicting the consequences of their choices. I didn’t mean for those villagers to suffer, a player might think after realizing the impact of his or her decisions in “Hillock.” Can’t I save both them and the orphans? Players cannot, and it is this inevitable failure to self-narrate that makes salient to them the responsibility they have to interrupt their identification, judgments, and norms. In doing so, many players may assess the alterity of the Other—the spirit—and attempt to apprehend what it is that makes it uniquely it (Butler 52). Like actual, singular beings in real life, the spirit possesses not only the capacity for evil, but also for good. Employing violence as a means of erasing Otherness is antithetical to radical ethics. Theorist bell hooks exemplifies this claim when she calls Otherness, or marginality, “a site of creativity and power. . . where we recover ourselves, where we move in solidarity. . . . [a] location of radical openness and possibility” (209). The term “marginality” is inextricable from a discussion of Otherness, and by proximity radical ethics, precisely because it contains the power of “radical openness” that can push past the detached relations of everyday strangers. Yet players of The Witcher 3 are allowed, and often encouraged, to employ physical and figurative violence against Others—whether it be massacring a whole camp of bandits or denying Ciri’s agency by making decisions for her. No matter the choices they make, though, players will still encounter radical failure. The inevitability of this failure has the capacity to drive many players toward the radical ethics embedded in the game. This potential for failure acts rhetorically upon many players, and I believe it can drive them toward a formative understanding of and engagement with radical ethics. This is because an ethical dimension explicitly exists in the limited range of choices with which players can respond to other characters. On a mechanical level, CDPR make evident the ethical dimension of the game by limiting what the player can and cannot accomplish in the game-world. Namely, these limitations originate from the (in)ability to attain desirable ethical outcomes. These mechanical limitations are an example of Bogost’s concept of procedural rhetoric, which he defines as “the practice of using processes persuasively” (28). Since all players of the game engage with its processes in some way, choosing courses of action in dramatic rhetorical scenes causes many players to identify with the digital characters, be it with dislike, affection, or indignation. This is because the design and structure afforded by CDPR make the characters appear to be rhetorically responsive. 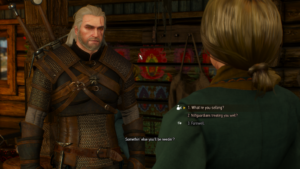 In accordance with The Witcher 3’s focus on ethical radicality, the player’s anthropomorphization of the characters as realistic beings enacts a process of “experience-taking.” Experience-taking is a process in which psychology professor Lisa Libby says “you’ve replaced yourself with the other” (Grabmeier) by substituting yourself for another self-narrator—another “I”. This substitution unfolds through an immersive experience that, in this case, constitutes the ontology of play in The Witcher 3. So in a direct sense, players “become” Geralt, but they also realize the extent to which their success and satisfaction is caught up in the vast web of Others—realize the extent to which they are responsible for the same in the Other. This is the effect of the ethico-rhetorical abstraction arising from the game’s mechanics of play and thematic content. Moreover, experience-taking further increases the likelihood of players becoming further attuned to the game’s radical ethics. In this manner of play, some players may hopefully “expose a solidarity that precedes symbolicity” (Davis 15) through the game’s reinforcement of responsibility (solidarity), which creates the conditions for ethical failure in the first place. This process of ethical revelation via the ethico-rhetorical dialectic of the game’s systems of play is critical from a player perspective. It may not only cultivate a sense of ethical responsibility in many players, but also highlights the growing complexity and maturity of the medium as a whole. It is true that many players still rely on games for the “fun factor” alone. However, more players than ever before are hungry for games that present them with tough choices so that they can either reflect on ethical complexities to make the “best” choices, or role-play as a specific moral alignment (e.g. Lawful Good or Chaotic Neutral from pen-and-paper games like Dungeons & Dragons) as the game allows. Games like The Witcher 3 give many players who carry such expectations something of ethical value to carry over into the real world in discourse, contemplation, and hopefully, day-to-day living. In response to the assertions in this essay, one might say that Immanuel Kant’s deontological ethics—or duty-oriented ethics—is more closely aligned with the game’s themes. After all, at first glance it appears to mirror Geralt’s motivations and characteristics most accurately out of the well-known ethical theories. As Ciri’s father figure, Geralt frequently expresses that he will do whatever is necessary to find her and ensure her safety. Kant would likely agree that this maxim could be willed for all and become a universal law, thereby fulfilling the requirements of his categorical imperative (unconditional moral obligation) (217). However, like the obligation of radical ethics, this deontological maxim of seeking out and protecting the Other—Ciri and many other characters—also conflicts with Geralt’s self-proclaimed principles of neutrality. Indeed, this contradiction could very well lead some players to superimpose a deontological framework over the game’s story and mechanics in an attempt to best fulfill “their” duty to Ciri. For example, in the “Hillock” quest, players attempting to follow a deontological ethics might save the villagers over the orphans if they believe that the former will have more information on Ciri’s whereabouts than the latter. However, this ethical “solution” only highlights the impossibility of living out a deontological ethics. In everyday life, no one has access to the correct series of choices to fulfill one’s duty, as only the nature of the video game medium allows us to cheat in this way. Because the choices in The Witcher 3 always constitute “betrayals” of the Other, the approach of radicality is the perhaps our most productive option. Drawing a conception of ethical radicality from The Witcher 3 can point us, as players, beyond our own wants and needs, gently prodding us toward attunement to those of Others. Bogost, Ian. Persuasive Games: Videogames and Procedural Rhetoric. Cambridge, MA: MIT, 2007. Print. Butler, Judith. Giving an Account of Oneself. New York: Fordham UP, 2005. Print. Davis, D. Diane. Inessential Solidarity: Rhetoric and Foreigner Relations. Pittsburgh: U of Pittsburgh, 2010. Print. Grabmeier, Jeff. “‘Losing Yourself’ In A Fictional Character Can Affect Your Real Life.” Research and Innovation Communications. Ohio State University, 5 July 2012. Web. 01 May 2016.
hooks, bell. “Choosing the Margin as a Space of Radical Openness.”Yearnings: Race, Gender, and Cultural Politics. N.p. : South End, 1999. 203-09. Print. Kant, Immanuel. Fundamental Principles of the Metaphysics of Morals. Mineola, NY: Dover Publications, 2005. Print. A screenshot of The Witcher 3’s dialogue system. Digital image. DualShockers. 5 June 2015. Web. 27 May 2016. A screenshot of The Witcher 3’s game-world. Digital image. GameSpot. CBS Interactive Inc., 29 Jan. 2014. Web. 27 May 2016. Tjahjono, Sam. A screenshot of Geralt and Ciri. Digital image. 27 June 2015. Web. 31 May 2016. © 2019 First Person Scholar. All rights reserved.